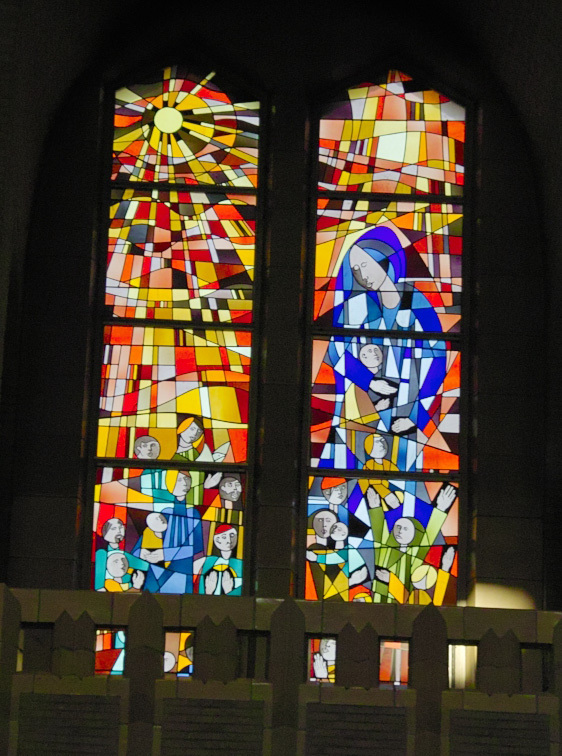 The first stained glass in the basilica was installed in 1937. The collection of stained glass grew gradually with the construction of the basilica, as the donations of the religious, the Christian organisations and societies followed. The designs were put on carton by ten of the best stained glass artists who worked in our country halfway the 20th century. 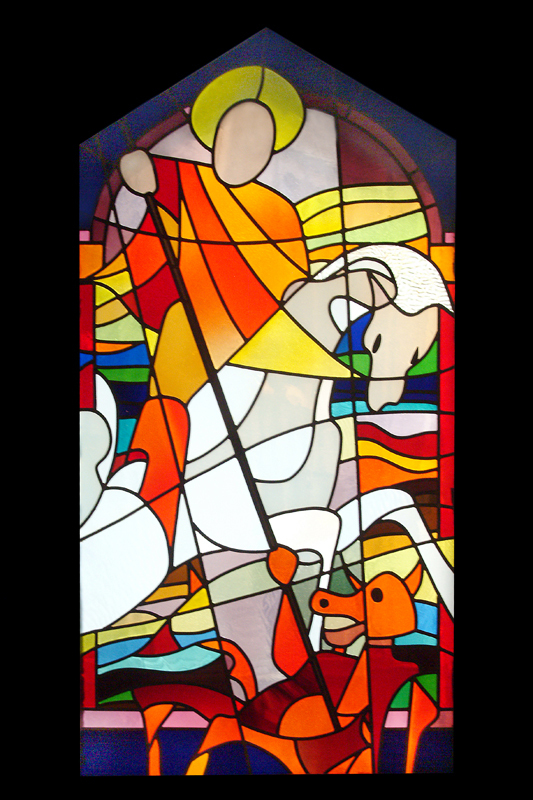 The quality of the stained glass is therefore very diverse. The theme of the stained-glass in the apse is the Eucharist and the adoration. In the big nave the life of Jesus is told, as in the galleries the eight salvations, are the subject of the stained glass. Afterwards, stained glass was also put in the side chapels. The most important artists that co-operated are Anto-Carte, Louis-Charles Crespin, Jan Huet, Michel Martens, Jean Slagmuylder, Maria Verovert and Pierre Majerus (pictures).